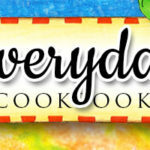 Cookbook Resources, LLC publishes quick and easy cookbooks featuring family-oriented recipes. These delicious recipes encourage busy families to dine together. Shared meals are a joyous way of cementing family bonds with memories and traditions that will last a lifetime. At mealtimes we share more than food. We share ourselves. And, great memories start with great food. With strong family ties and values, our country is stronger and our world is a little safer. Our mission is all about “Bringing Family and Friends to the Table”. We believe that every minute spent around the table brings people closer together and makes family ties stronger. 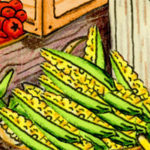 Cookbook Resources is known for its quick and easy recipes. Recipes include three ingredient recipes, four ingredient recipes and five ingredient recipes. All ingredients come straight from your pantry or refrigerator — no specialty or gourmet shops needed. Preparation is uncomplicated and the pages have large type for straightforward reading. We sell quick and easy cookbooks worldwide including the USA, Canada, Australia, New Zealand, the United Kingdom, France and Russia. Our cookbooks highlight family favorite recipes, regional specialties, beginner recipes, recipes for busy women in their own busy woman’s cookbook series and 30-minute recipes. Old-fashioned recipes are captured for future generations. Appetizers, beverages, soups, salads, brunches, breads, side dishes and vegetables, chicken, beef, pork, seafood and wild game fill pages of these quick and easy cookbooks. And cookies, cakes, pies and sweets and desserts of all kinds put the frosting on the cake, literally. Cookbook Resources, LLC began in 1995 and today publishes more than 100 titles with many international best sellers. Cookbook Resources maintains high-quality through excellent recipe choices, design, copy preparation, materials used and manufacturing standards. 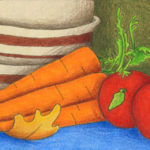 The personality of the cookbooks is down-home, friendly and good fun. Colors are bright, cheerful and friendly. Titles are simple and direct with positioning statements that clarify or define the titles. Our books make it easy to put dinner on the table, so we can all create memories with great food.